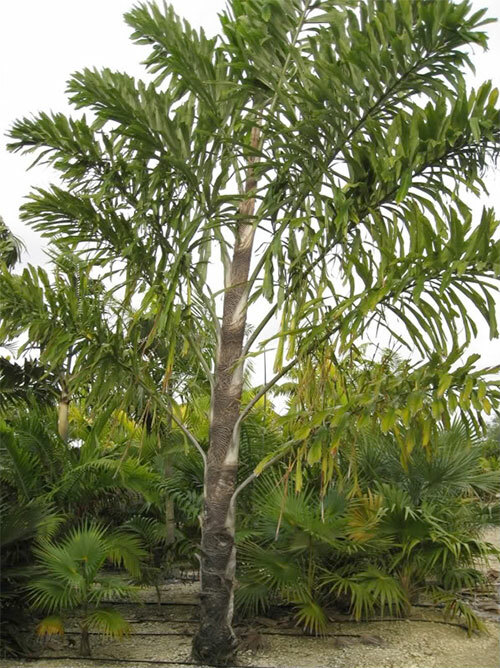 Wallichia disticha is an extremely unusual looking palm, in which the leaves form just two rows on either side of the trunk i.e. 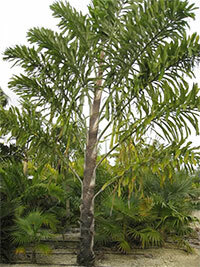 looking down on the palm, the leaves would all form a single straight line. It grows to about 20 ft tall, while the long, course leaflets are dark green above, and greyish white underneath. 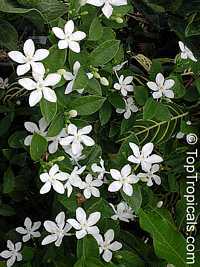 Although it comes from the Himalaya, it comes from the lower reaches which are still tropical, so it prefers that climate, however it will grow in sheltered sub-tropical areas. 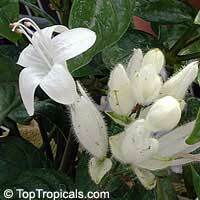 Wercklea ferox is a rare shrub in the Hibiscus family originally from Costa Rica. 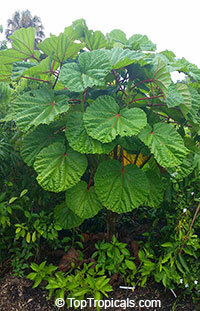 A gem for tropical plant collector, this plant gets large green round leaves with gorgeous red veins. 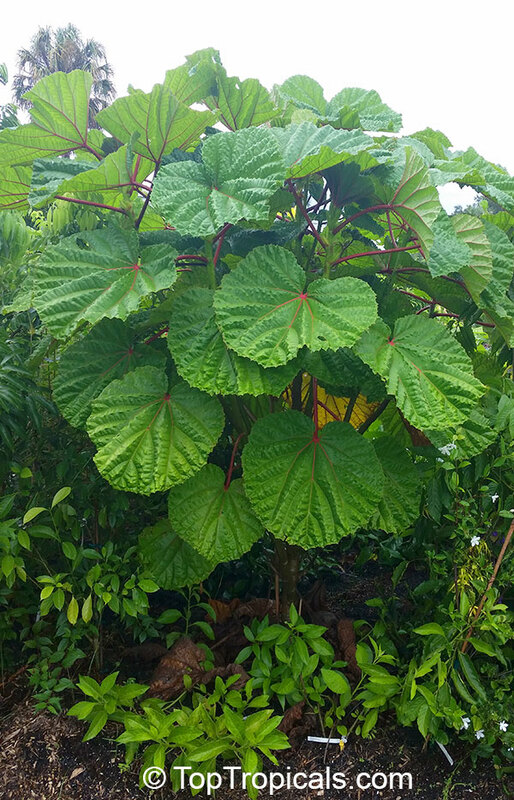 Red color seems more visible on the underside of the leaves. This plant starts by forming red buds, only to pop out a yellow delicate Hibiscus-like flower. 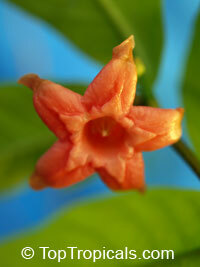 They are quite pretty as well, but often hidden from the beautiful large leaves. 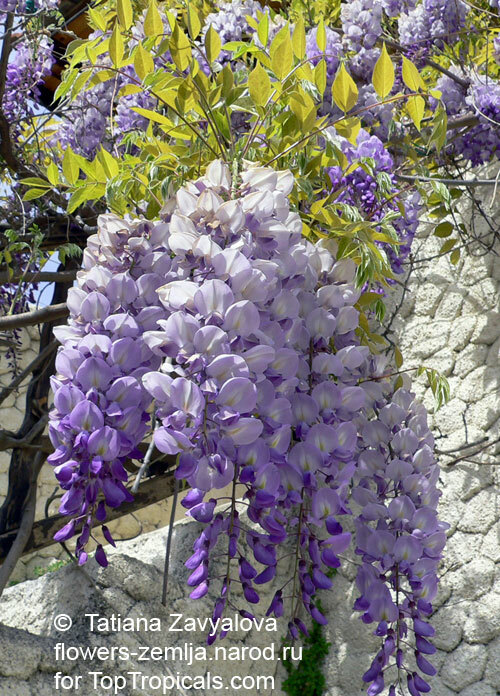 American Wisteria. 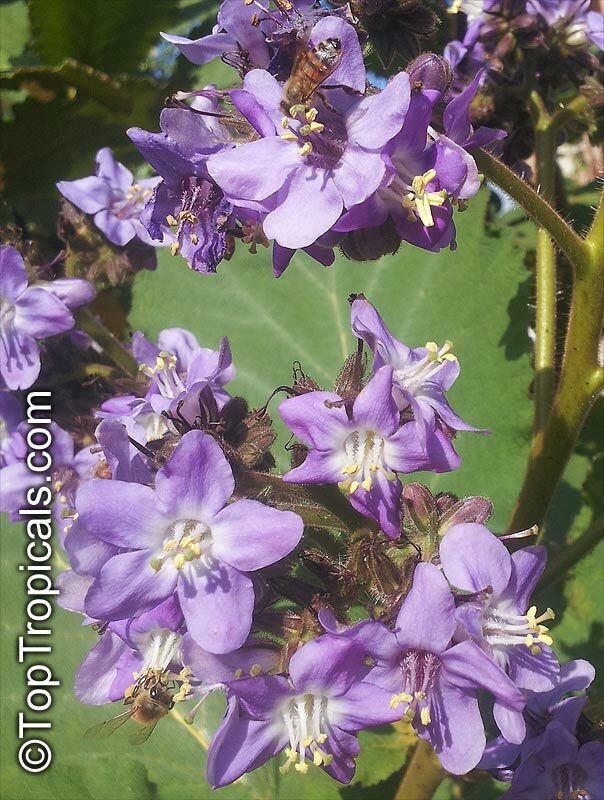 Cold hardy, vigorous, showy, woody ornamental vine with fragrant, violet to blue-violet flowers, that occur in showy, pendulous clusters hanging gracefully from the twining stems. 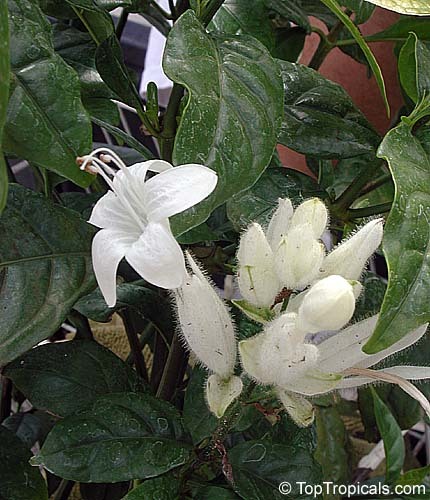 The plant drops leaves in winter. 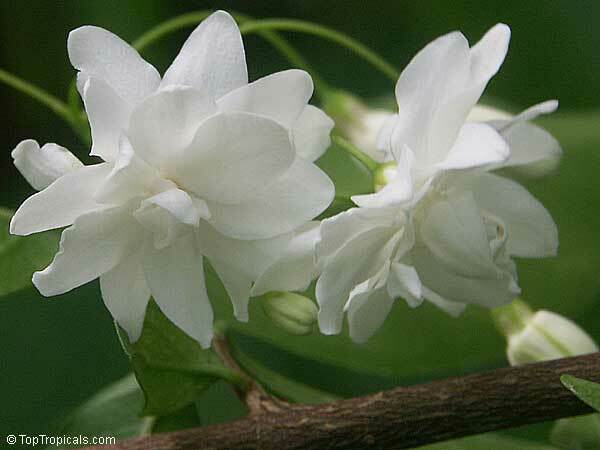 Chinese Wisteria. 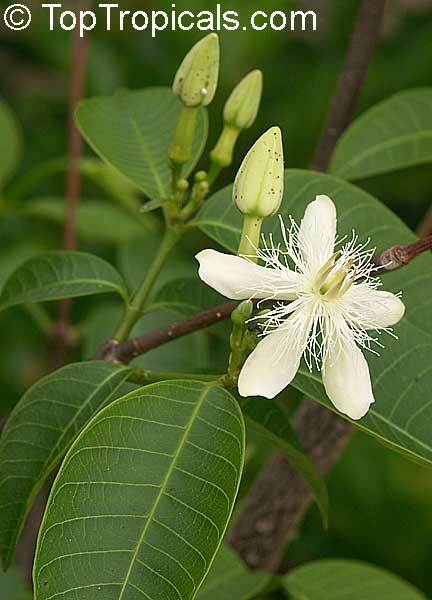 Vigorous, showy, woody ornamental vines that can climb trees, apparently limited only by the height of the tree, and have been observed to reach 65 feet. Fragrant, violet to blue-violet flowers, 1 inch long, occur in showy, pendulous clusters that hang gracefully from the twining stems. 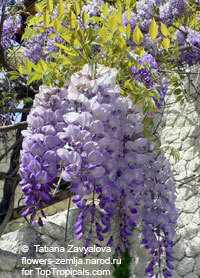 Exotic wisterias are long-lived, some vines surviving 50 years or more. Plant seeds 1/2" deep, keep warm, bright light and lightly moist. 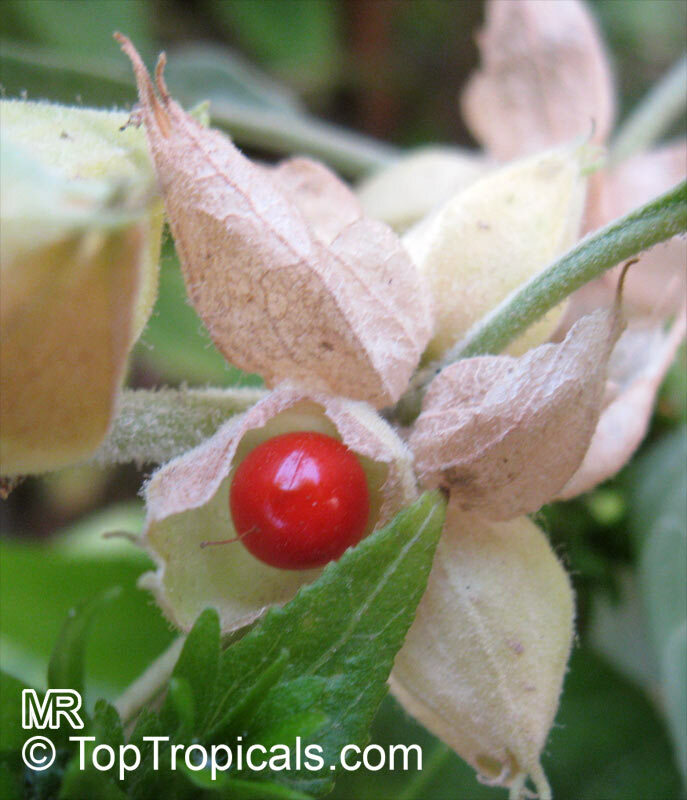 Withania somnifera, known commonly as Ashwagandha, Indian ginseng is used as a herb in Ayurvedic medicine. The species name somnifera means "sleep-inducing" in Latin. 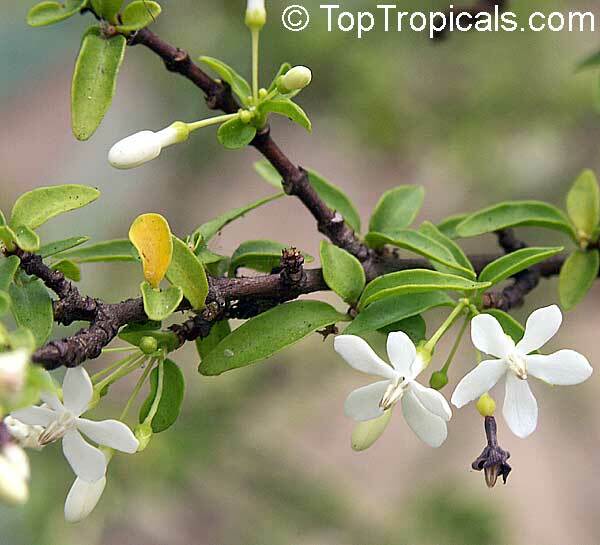 Withania somnifera is cultivated in many of the drier regions of India, such as Mandsaur District of Madhya Pradesh, Punjab, Sindh, Gujarat, and Rajasthan. 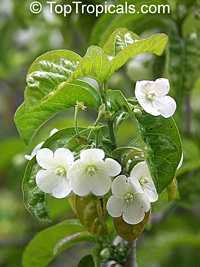 It is also found in Nepal, China and Yemen. The main chemical constituents are alkaloids and steroidal lactones. The long brown, tuberous roots are used in traditional medicine. This rare species is similar to W. tomentosa Queen, but has more vigorous growth habit. 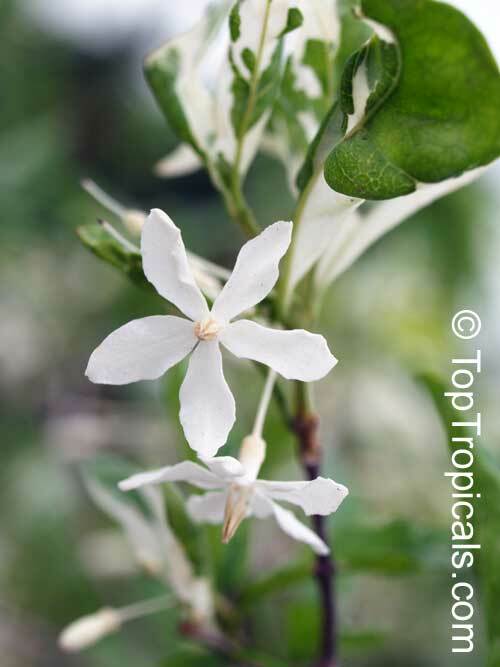 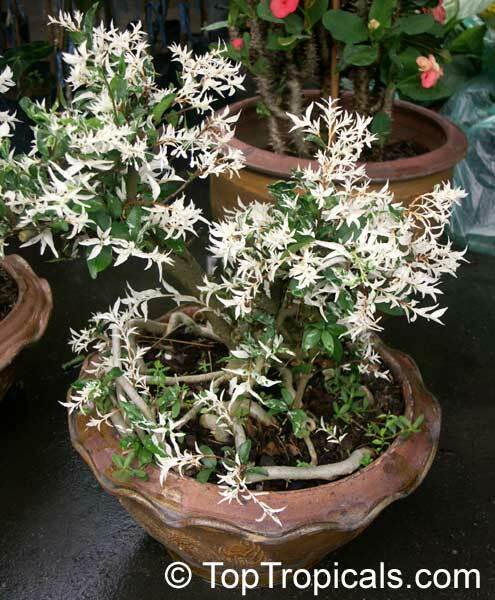 This Wrightia can be trained with a swallen trunk into natural bonsai with fragrant flowers. 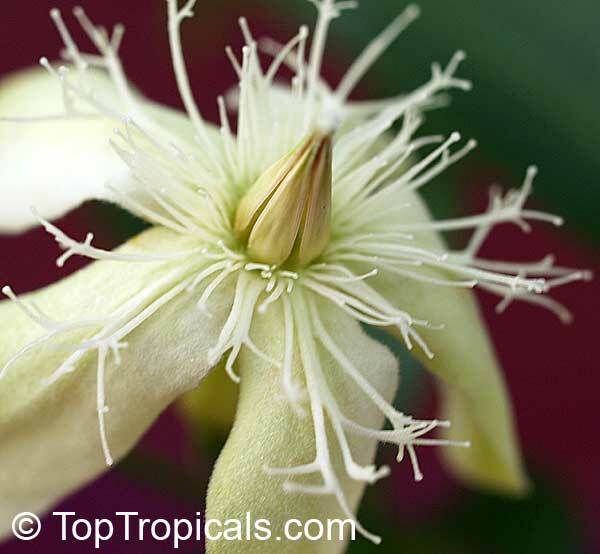 African Saddlepot - Rare Tropical Bonsai Tree. 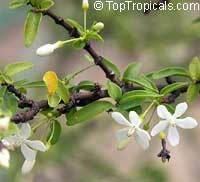 Wrightia natalensis grows as a small to medium-sized deciduous tree. 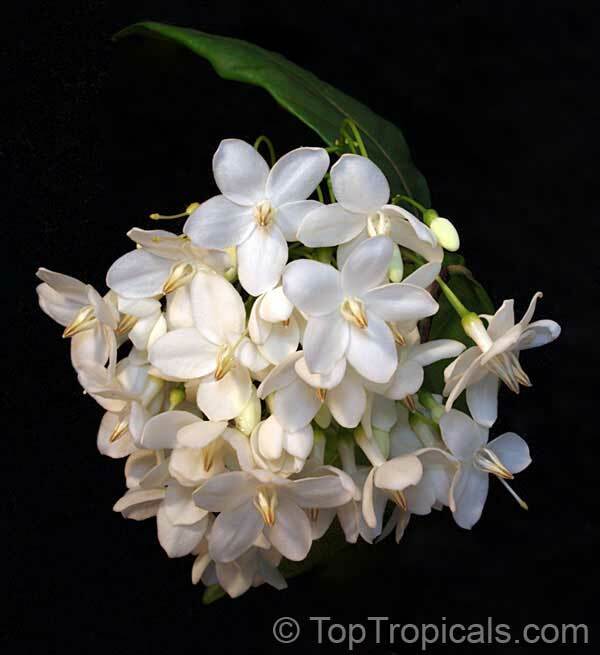 Its fragrant flowers feature a creamy yellow corolla.